To use, apply to clean, dry skin in the morning and night. Follow up with the rest of your skincare routine. It has a beautiful scent to it which isn’t overwhelming. It is subtle, but it smells good. I’d assume that this is thanks to the added essential oils. The consistency is fairly watery, but thick enough to not drip through your fingers which can waste it or make a mess. It also means that a little amount of product goes a long way. The skin can feel a little greasy for a moment after applying, but this eases up as you let it sink in and you continue with the rest of your skincare routine. When applied, it has a firming effect which is nice. It’s a comfortable firm and not tight. It also leaves the skin feeling well hydrated and looking luminous, but not in a greasy way. 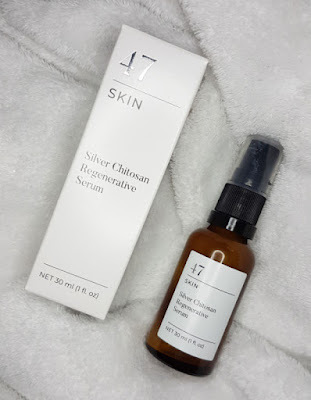 I’ve found that it’s been doing a great job at helping blemishes to heal and for redness to disappear. It seems to significantly speed up the healing process. So far I’ve been using this product for two weeks, and I’ve been really liking the results. This is a serum that gets straight to work and is pretty speedy with its results. After just this short amount of time it has already been providing on its promises, so I’m really looking forward to seeing the continuation of the results. 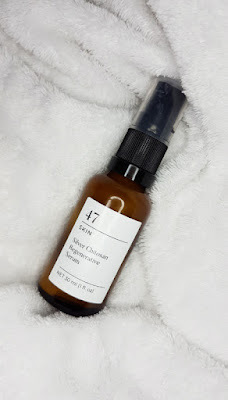 I’d say that this serum is best suited to those with oily, blemish-prone skin, but if you have dry and blemish-prone skin then you can still reap the benefits. You would need something more moisturising to follow up with though I would imagine. So yes, overall, I’m very impressed! Sometimes the best things in life can be accidental and I think that 47 Skin have done a great job by capitalising on this happy accident. I’m really looking forward to seeing what other types of products can come from this brand, if any, and I hope that you guys are equally as excited to see where it goes from here too. You can grab yourself a bottle of the 47 Skin Silver Chitosan Regenerative Serum and their other available products from 47 Skin. 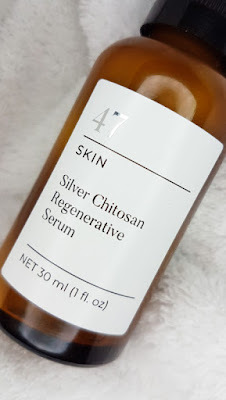 What are your thoughts on the 47 Skin Silver Chitosan Regenerative Serum? Do you enjoy trying out new scientific breakthroughs in skincare?